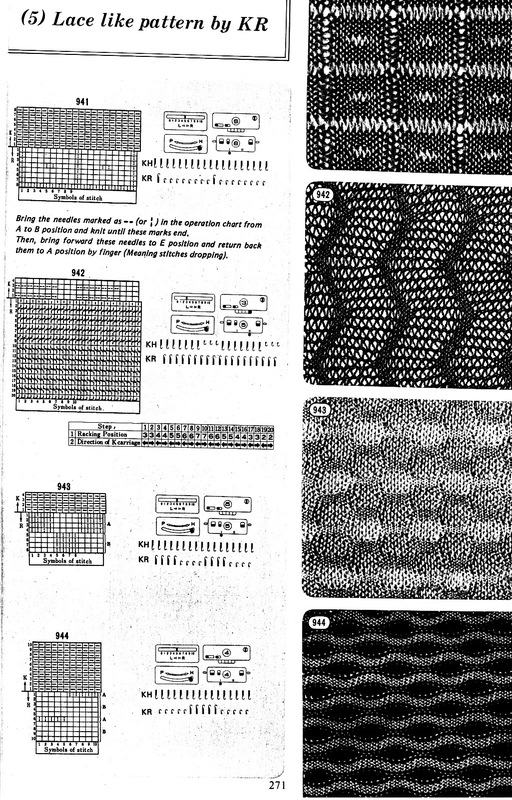 These pattern repeats may become quite large, and are suitable for designing and downloading with software. Testing repeats in a small section to start with, insures methods and accuracy when planning the larger ones. 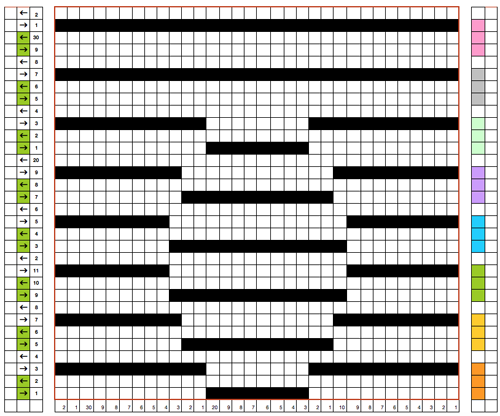 Here I would prefer a wider, brick repeat, however, I am working with a mylar on a 910 so in this test I settled for a vertical repeat, the result shown below. 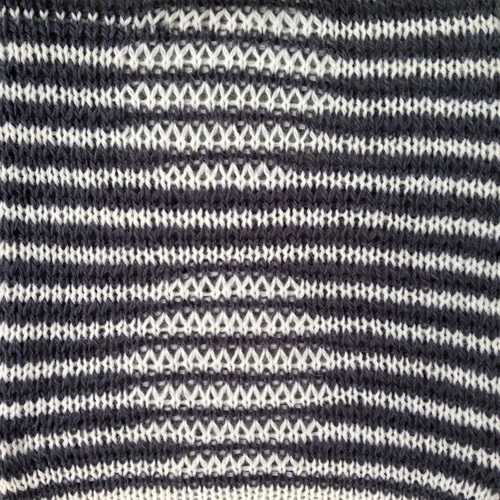 The pattern reminds me of shadow knits. 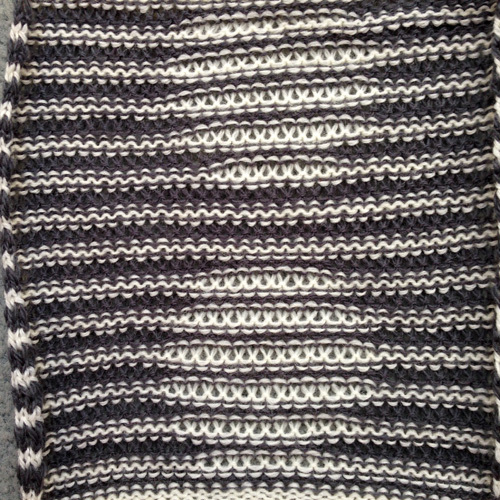 As it stands, the repeat is 32 stitches wide, 32 rows high. The colored 3 row segments on right, if collapsed would result in an all black row, with no overlap. Colors are changed every 2 rows unless the repeat is designed differently. 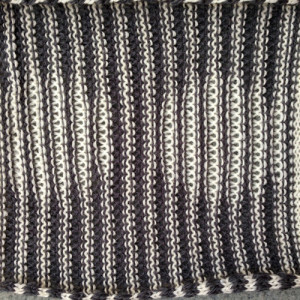 Care is needed on the color changer side, making certain both colors are not picked up together as the color is changed, resulting in the ribber knitting both yarns together. KCII is used, canceling needle selection. An extra needle is put into work at each end on the main bed. This fabric widens considerably, so casting on and binding off need special consideration. Before pattern knitting starts, all stitches must be on ribber bed alone, with needles in work, but empty, on main bed. I chose to knit my swatch with first row selection from left to right. The KC is set to slip <—>, the ribber N<—>N throughout. 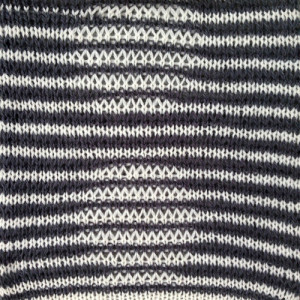 This knits all stitches on the ribber, selects needles for main bed stitches to be knit on the next row. 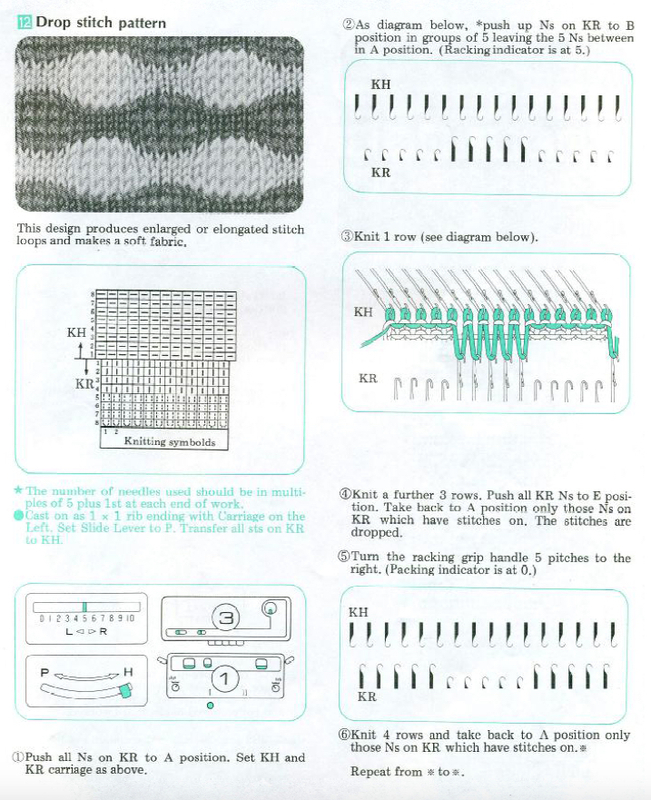 On RC 2, selected stitches will knit, while preselection for the next row will place all main bed needles in B position as the carriage moves to left, leaving them ready to get “dropped”. Use your tool of choice to drop stitches and return them to B position once again. Color is changed, and sequence repeats. 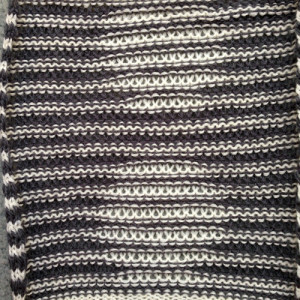 Previous blog posts on topic: 2 colors per row, Japanese machines, on the Passap, an edging, stitch dropping tools, and occasional bits of info in other threads, ie. on drop stitch “bubbles”.